The limestone island of Lizard Cay. Part of the Princess Alexandra National Park, Lizard Cay can be found close to Donna Cay off of the northeastern end of Providenciales. 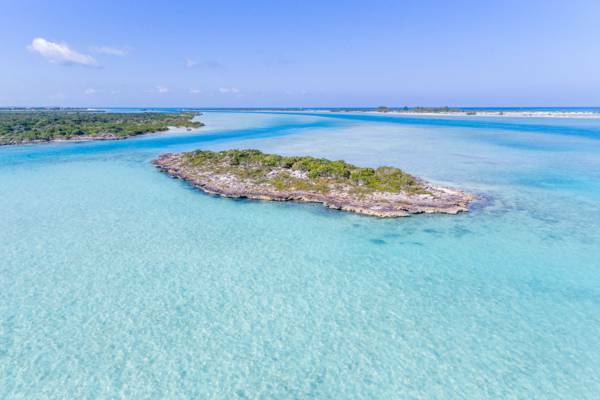 With a total land mass of about an acre (.4 ha), this cay has a limestone ironshore coastline and an interior of light coastal vegetation. The tiny Lizard Cay off of Donna Cay.